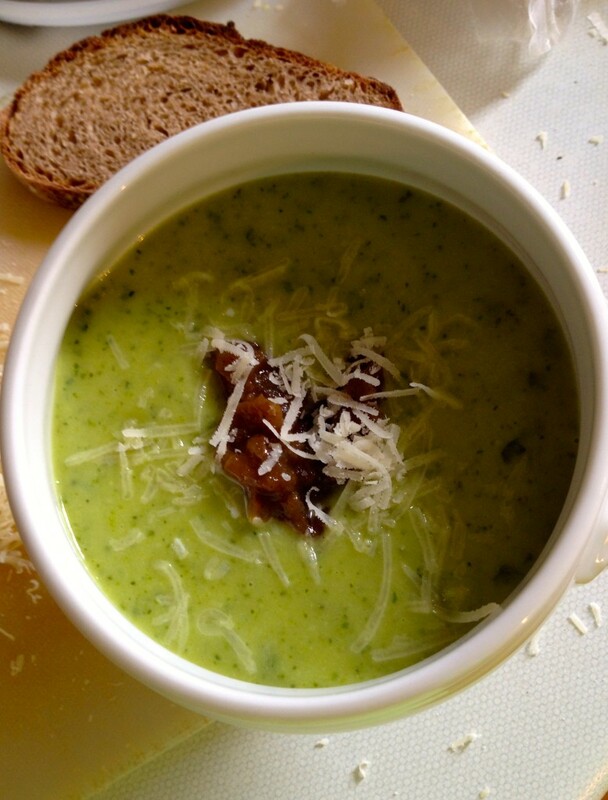 This is one of my favourite soups and is perfect at this time of year to use up the glut of courgettes in the garden. It’s a superb Martin Wishart recipe, who has a restaurant in Edinburgh and also holds cook schools, allowing you to spend a day in the kitchen cooking and eating. I would thoroughly recommend these cook schools – you get to cook the most amazing dishes, learn lots of new skills and come away with all of your goodies and recipes. They also provide fabulous coffee and cake! Heat some oil in a large pan and cook the onion and garlic slowly with a pinch of salt to soften but not colour it. 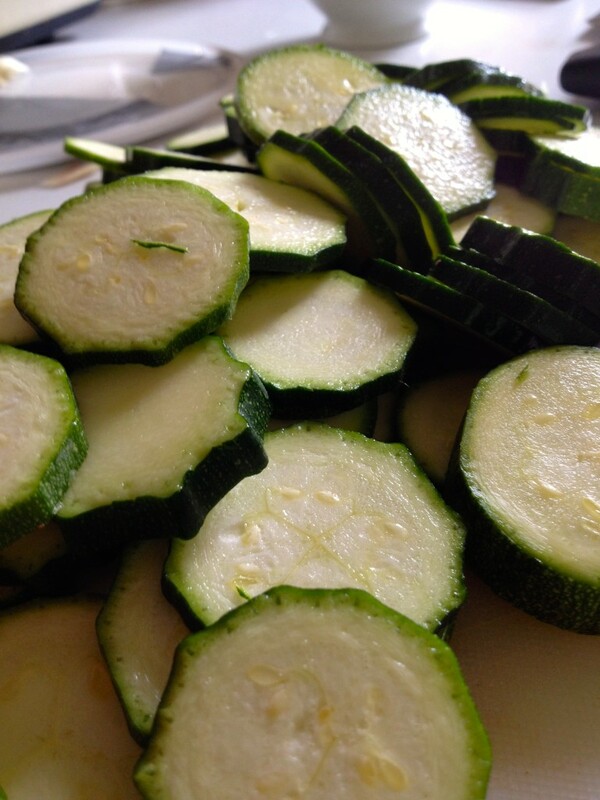 Add the sliced courgette and cook for a couple of minutes until it starts to soften. Pour in the stock, bring everything to a boil and simmer for 10 minutes until the courgettes are soft. Pop into a blender with the basil leaves and parmesan and blitz until super smooth. Good ol’ Martin recommends doing this for 5 minutes so it is silky smooth. His recipe also includes a tomato chutney to balance some big juicy prawns on in the middle of the bowl, which is a lovely addition but not your everyday lunch. I am one however, for having some bits and bobs in my soup, whether it’s flaked almonds or sunflower seeds, so I put a spoonful of tomato chutney on the top of the soup and it was delicious. Give it a go, go green this summer! 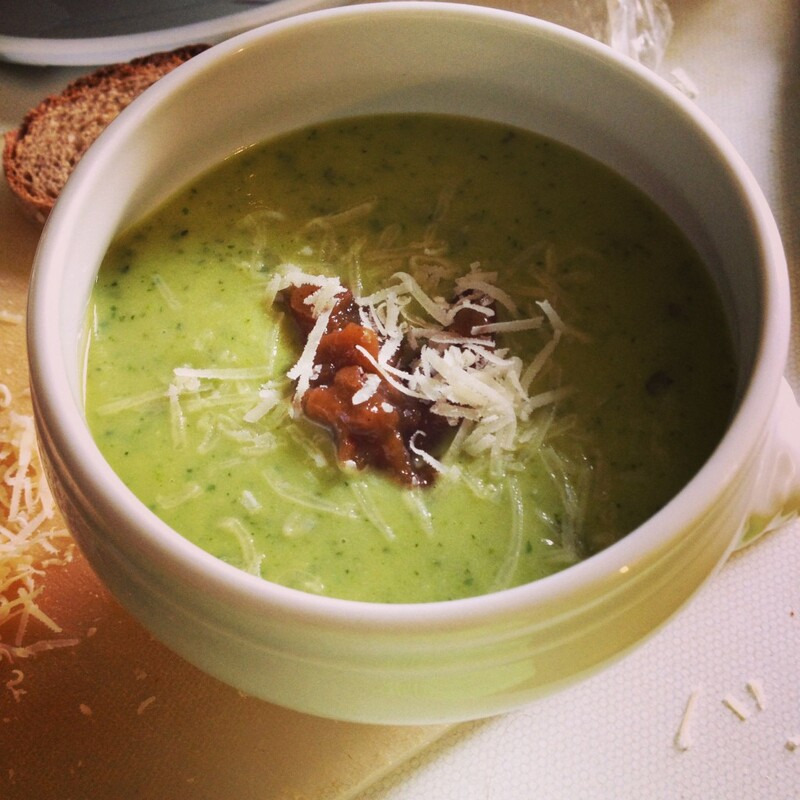 Posted in Recipes and tagged courgette, green, lunch, soup.